Service is just as important as quality & we’ve designed our business to fit Inverness construction perfectly with depots based strategically throughout the city enabling a fast response emergency call out service that can take care of literally anything. 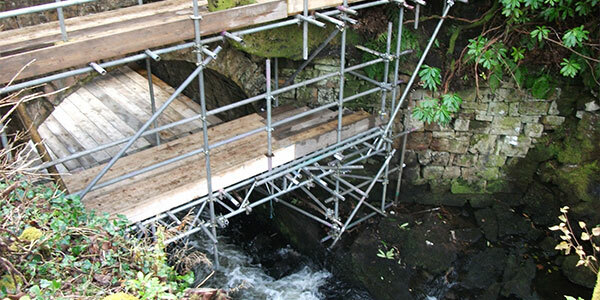 We have safely erected scaffolding for a wide range of projects, commercial and domestic. See what we can do for you today with our professional scaffolding services. We are based in Inverness but cover the whole of Scotland with our comprehensive service. Contact Us Now to get your FREE estimate, or to talk to one of our qualified team. Tel: 01463 711750. We pride ourselves on our health and safety record and believe in empowering our staff to take responsibility for their own and others safety. "Its been great working with Safeaccess over the year, pity all subcontractors don’t give the same level of service as you and the boys." 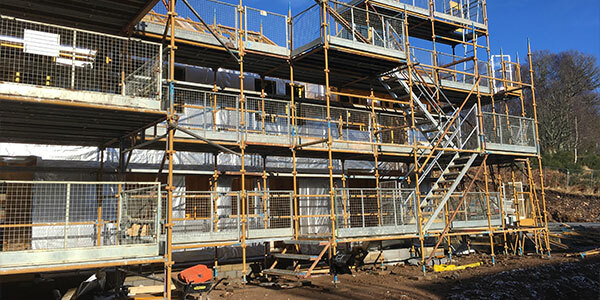 We offer comprehensive scaffolding services throughout Scotland for the public, local authorities & commercial contractors incorporating design, erection & dismantling. The Safe Access service starts with a full survey from our surveying team to evaluate any potential safety risks & gain a full briefing on your build & requirements. Good planning saves lives, time & money & we’ll make sure we take time to fully understand the brief & design a scaffold that delivers on all needs. Our experienced team can accommodate almost any requirements from simple working platforms & scaffold towers to propping, shoring, formwork & scaffold stages with all the necessary extras like sheeting, temporary roofing, ramps, runways, hoists, fencing & rubbish chutes. Once a design is agreed our team arranges supply to your site to carry out the erection of the scaffold. We work hard to bring you a reliable, professional & safe service with a good turnaround time & try to be as adaptable as possible with ever-changing demands & needs from our clients. Once the scaffold is up we keep our service going with constant site attendance from one of our safety team. When we come to dismantling; just as complex as putting it up, our team put just as much preparation & care into the careful dismantling of scaffolds ensuring the safety of workers & public & the structural integrity of the building for load bearing shoring or props. Whatever your scaffolding needs you can trust in the specialists at Safe Access to deliver; Contact Us Today to speak to one of our knowledgeable team & arrange a full survey & quotation.